A finished picture frame back showing the hanging arrangements normally used. 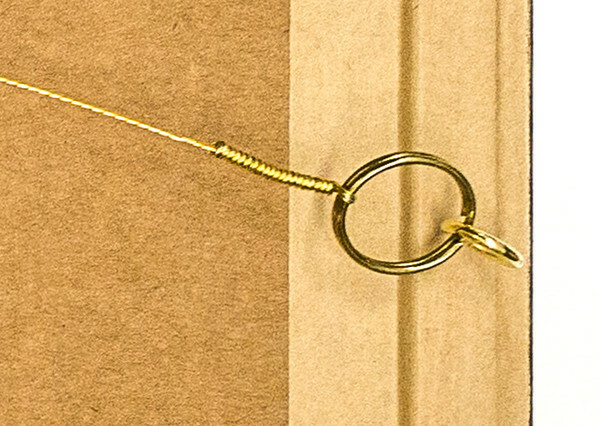 Shown here is a brass screw ring. Attached to it is a picture wire with a steel core and a twisted pair of brass wires. For particularly heavy picture different hanging arrangements are used, such as strap hangers.